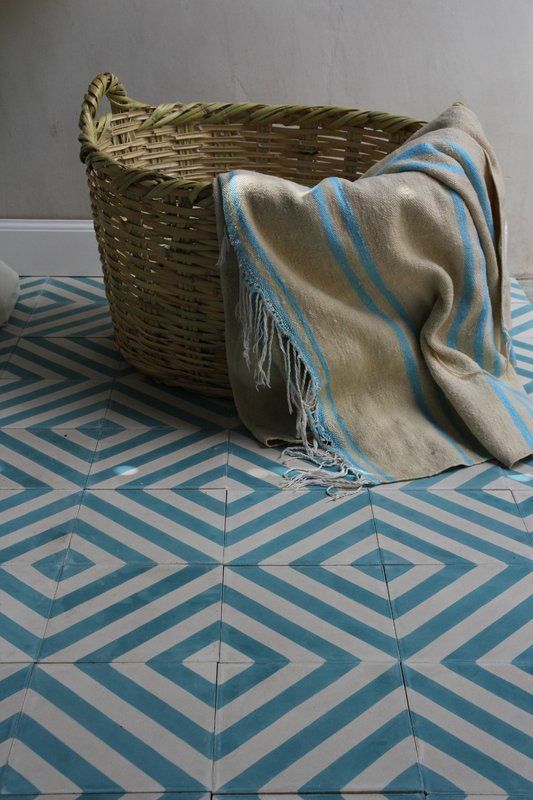 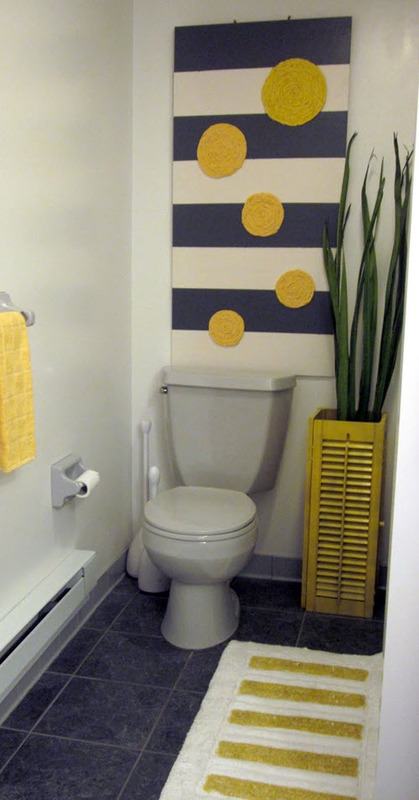 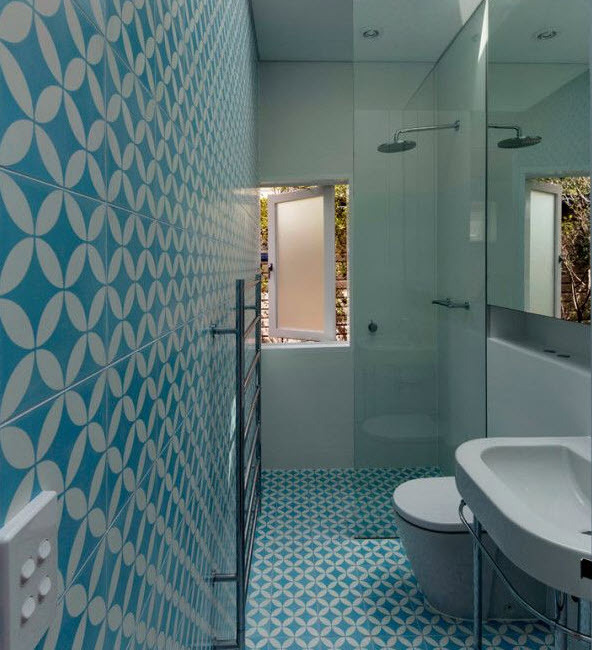 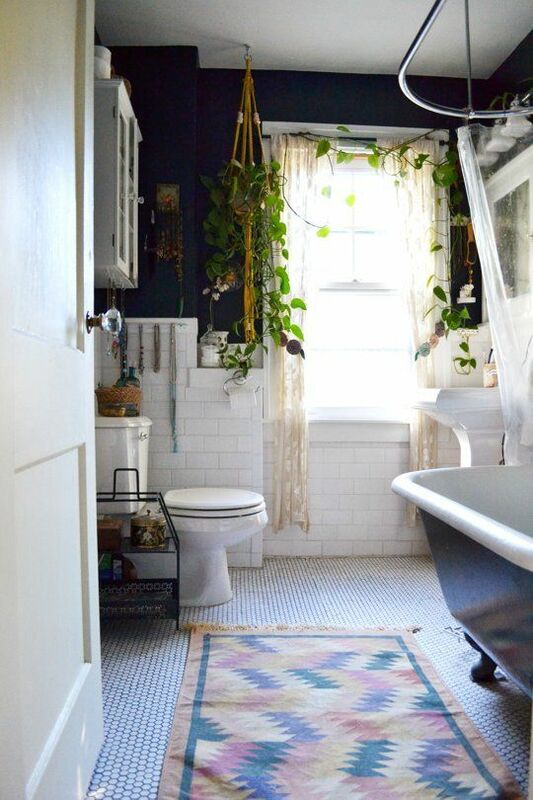 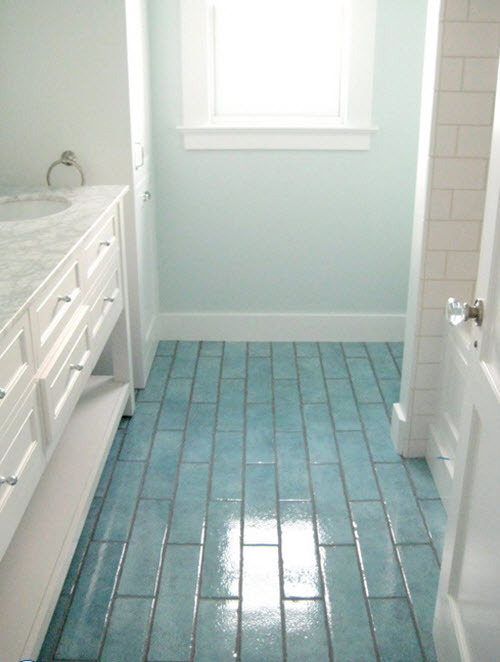 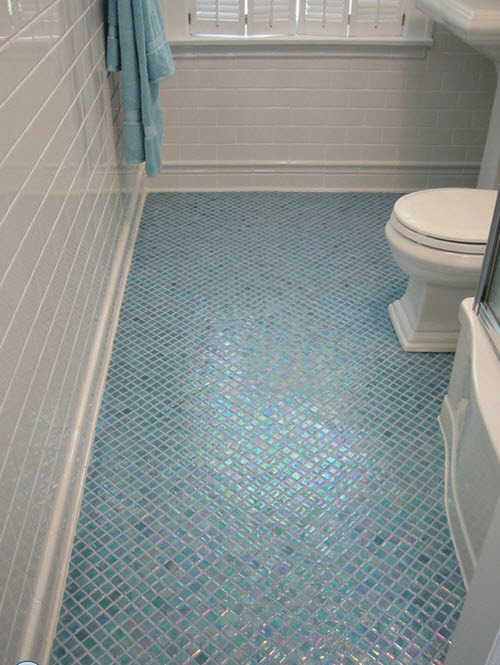 If you’re considering using blue bathroom floor tile and have doubts – don’t. 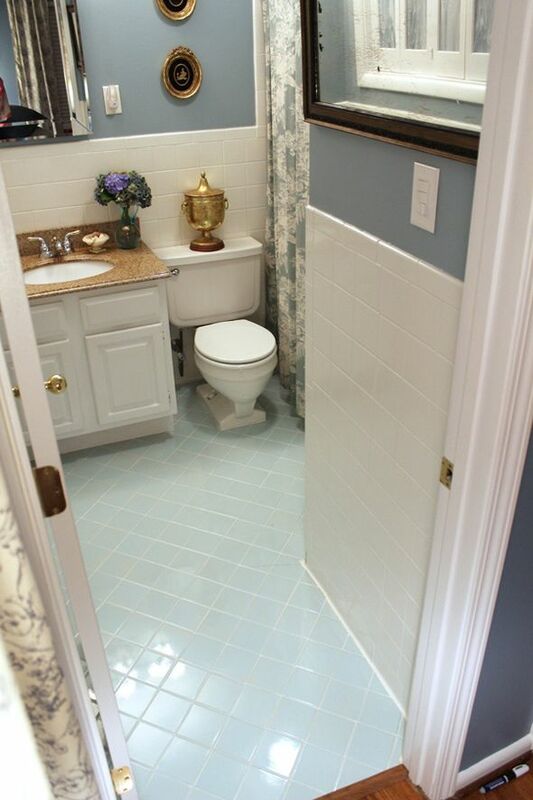 You are on the right way. 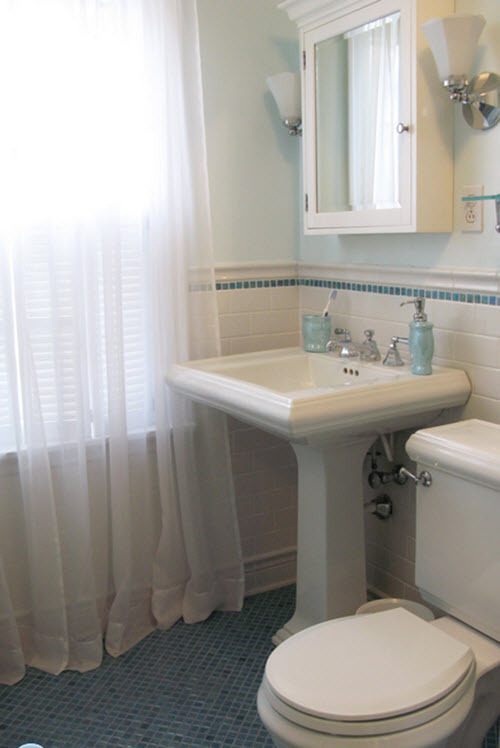 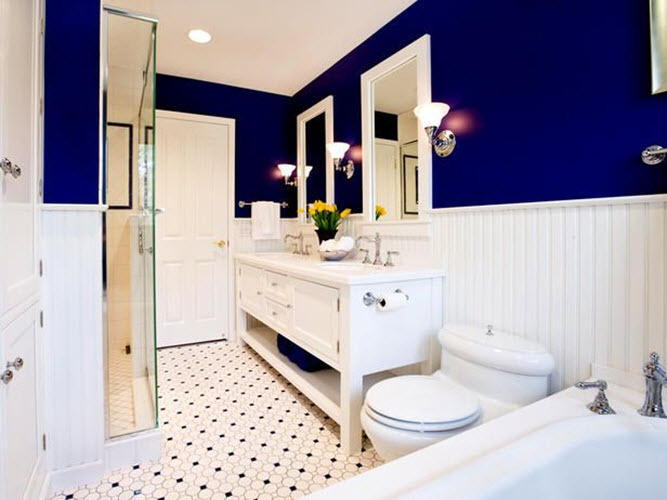 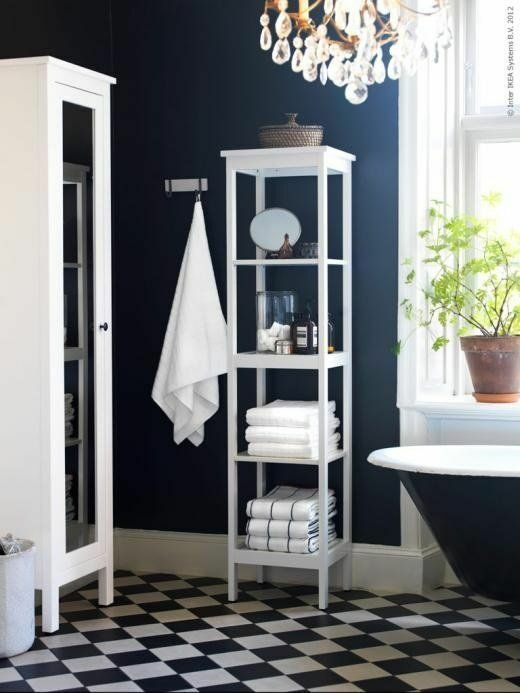 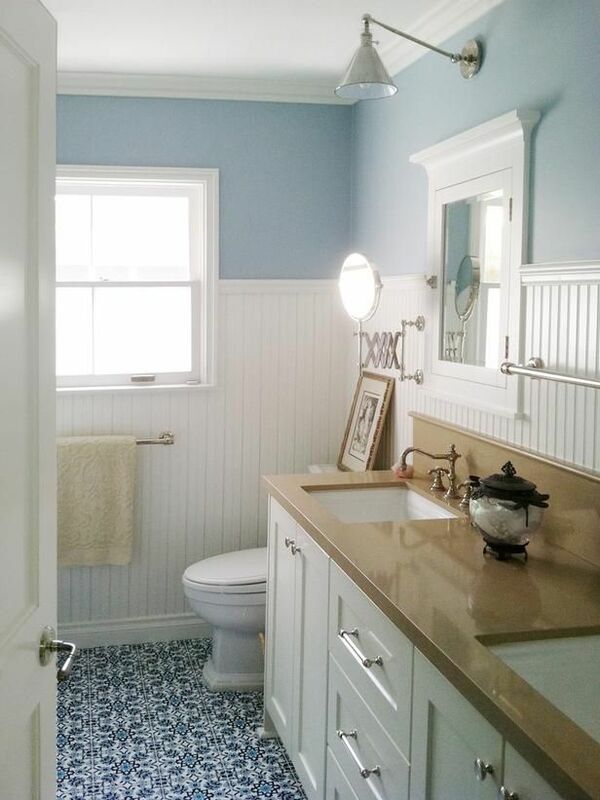 First of all, blue is the perfect color for bathroom as it’s associated with water. 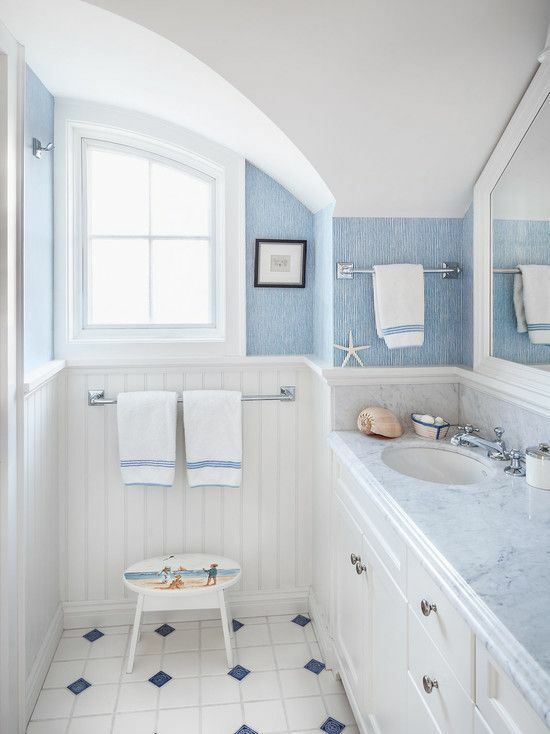 Then, emphasizing one certain area in the room has visual advantages for the rest of it – you can make it seem bigger or smaller depending on what you need. 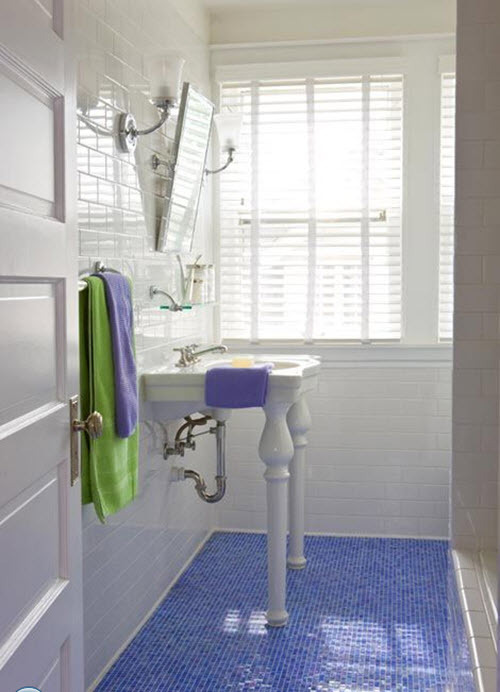 Blue floor will perfectly combine not only with other shades of blue on the walls but with other colors as well, best of all with white and other neutral colors. 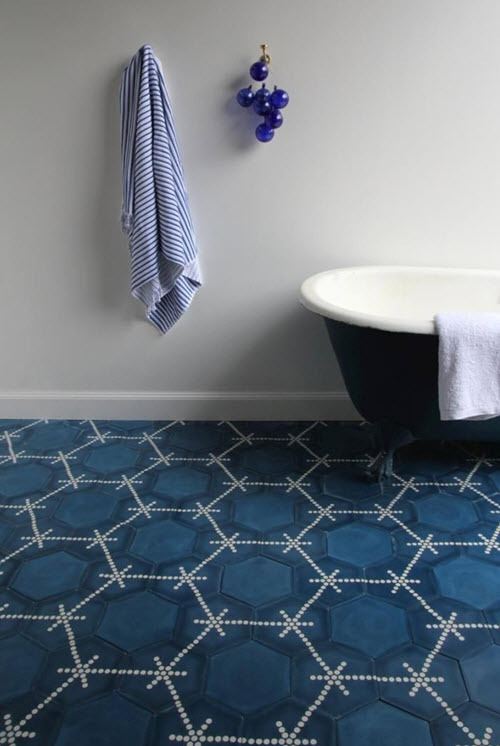 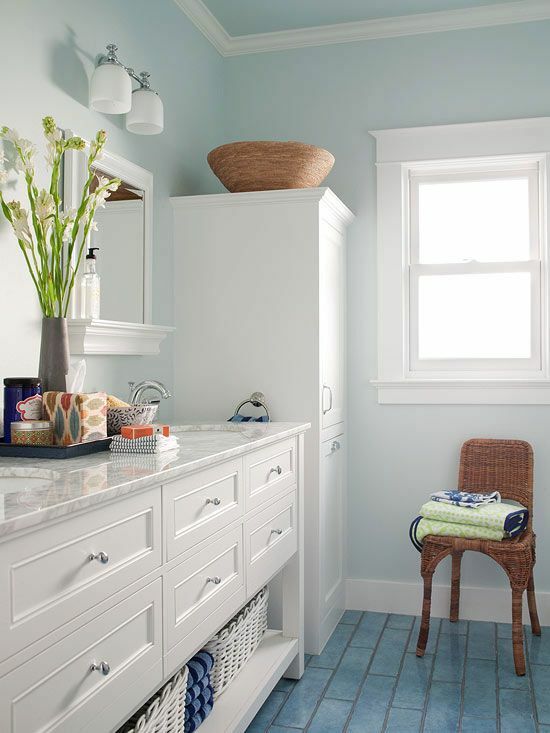 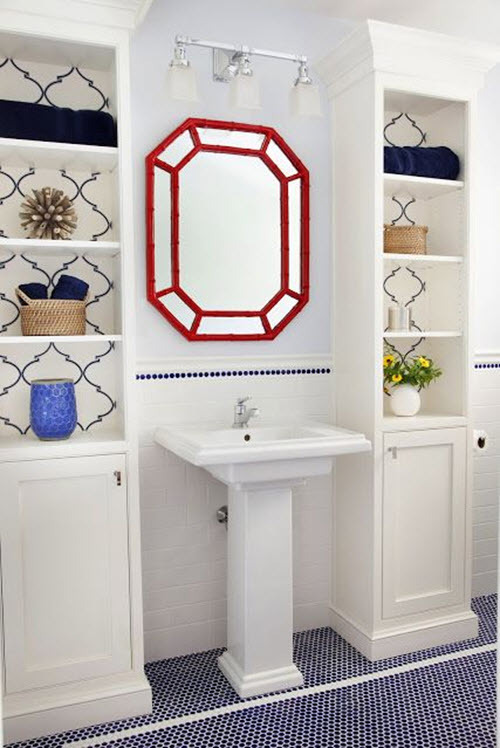 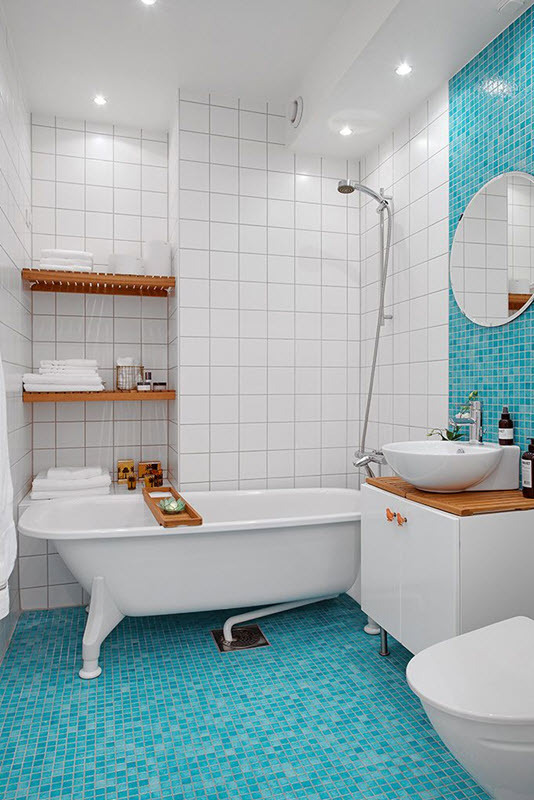 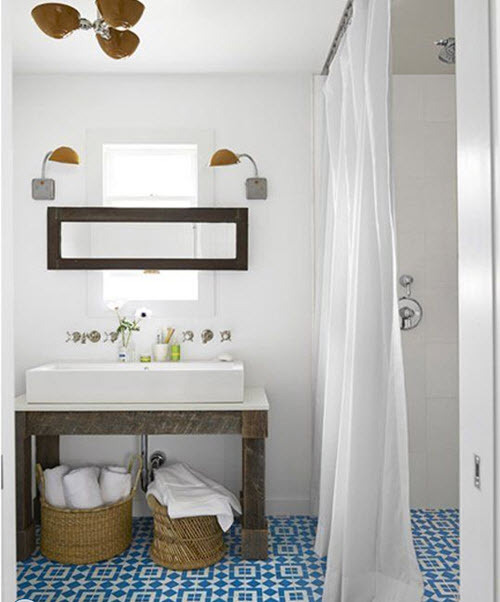 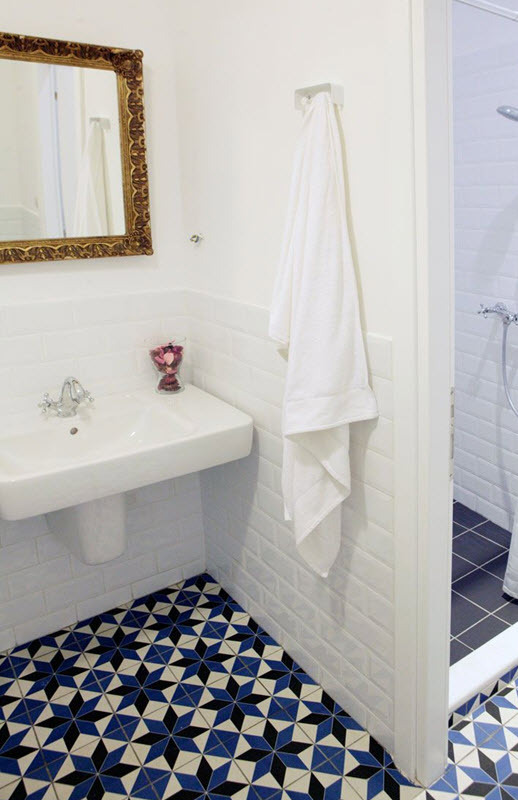 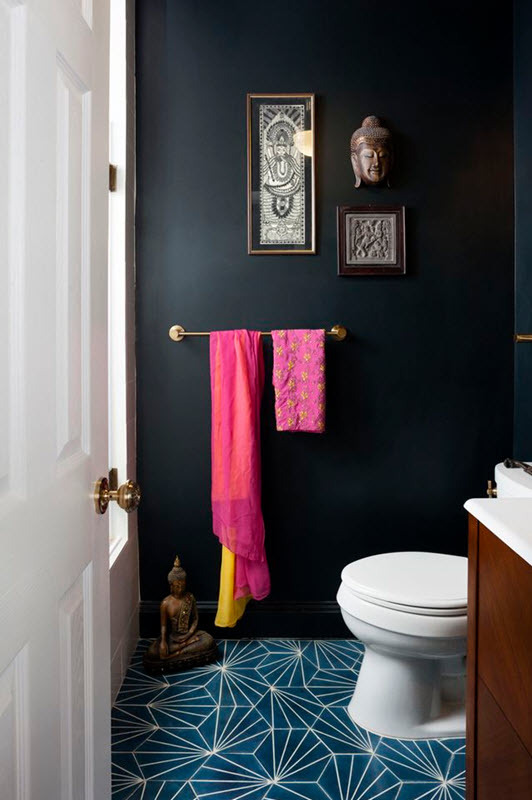 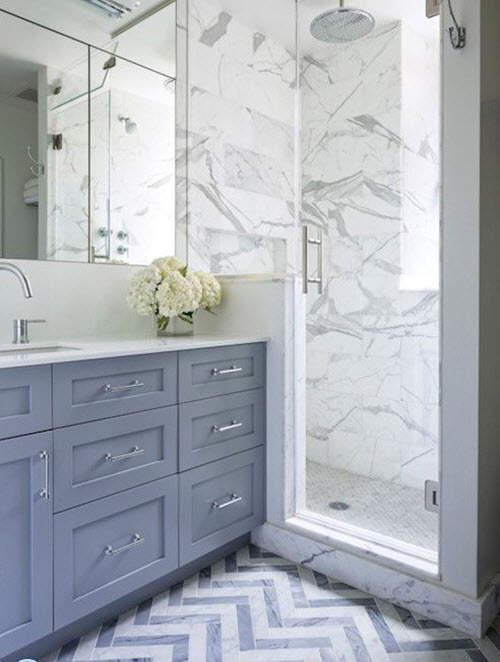 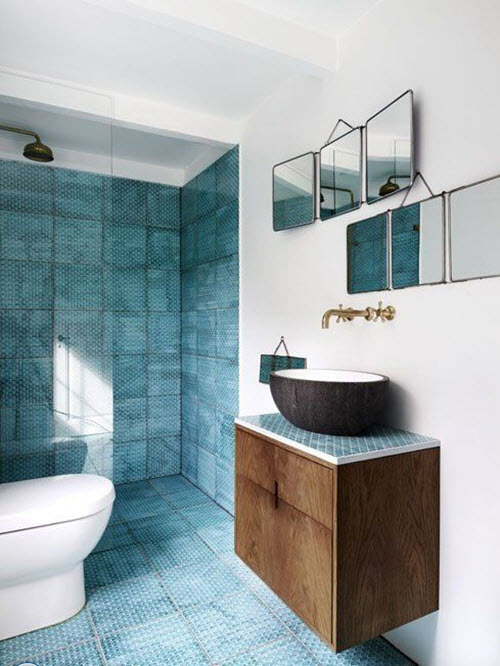 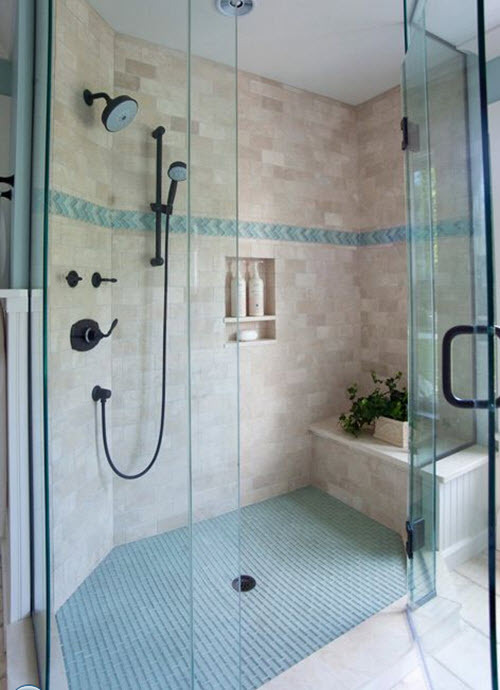 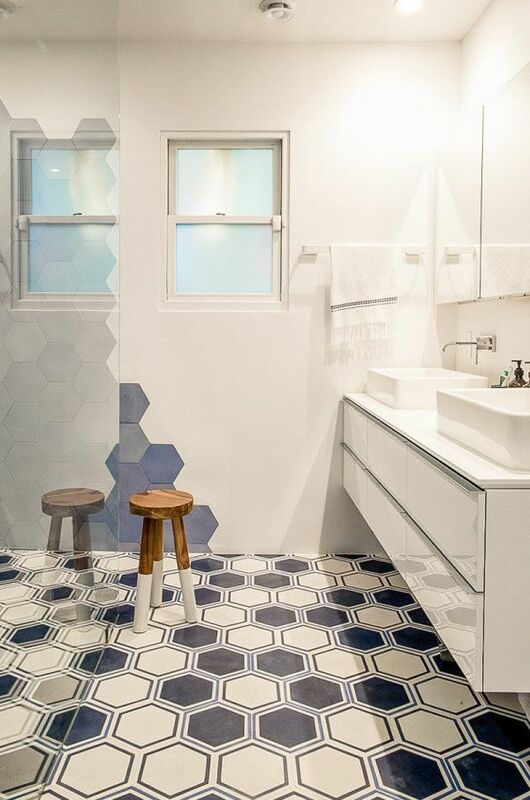 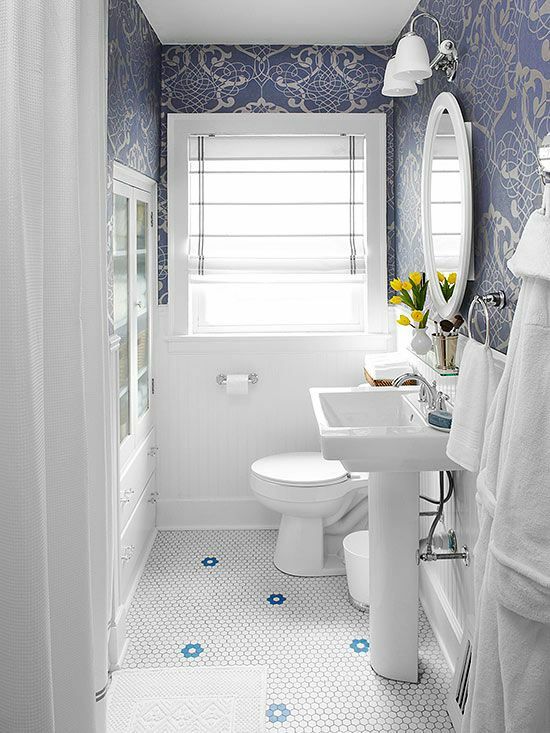 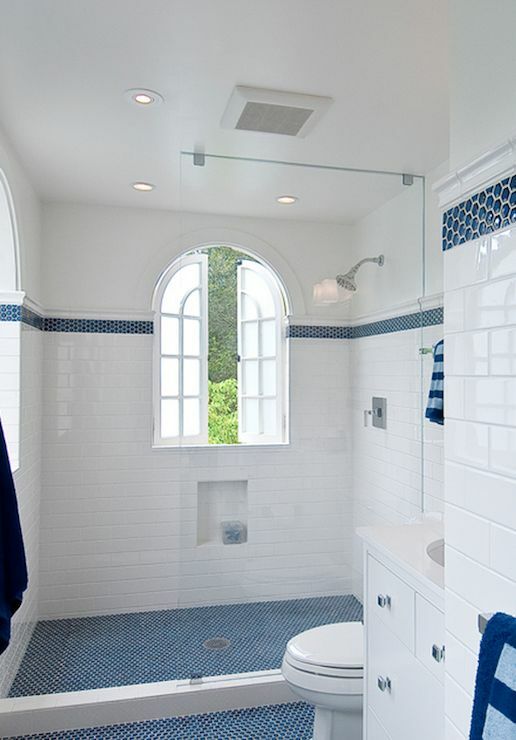 You don’t need to apply blue tile on the whole floor area of your bathroom if you feel like it won’t suit – sometimes, it’s enough to emphasize only one part of it, for example shower area or the border of the space. 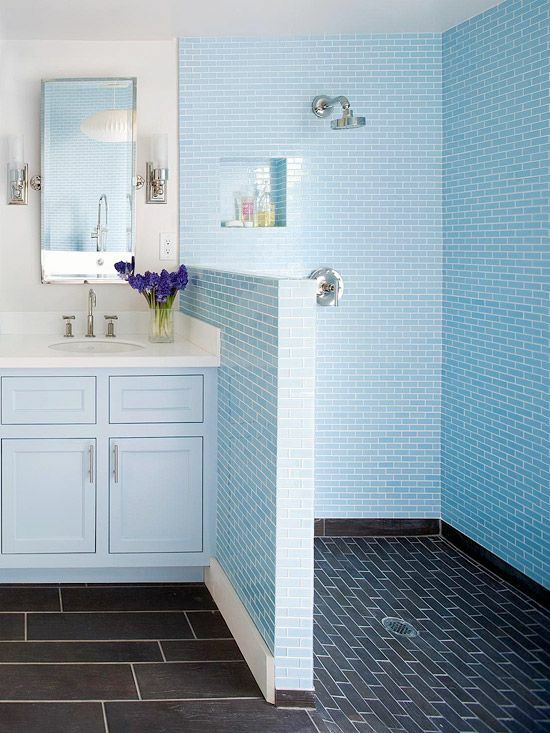 You have plenty of choice in terms of size, shade and design of the blue tile. 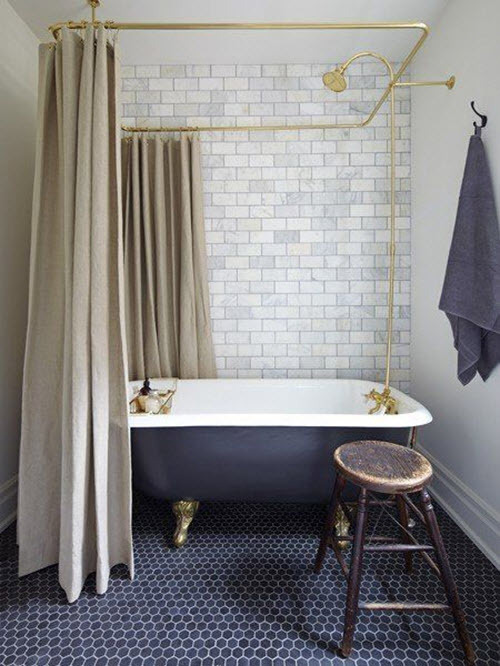 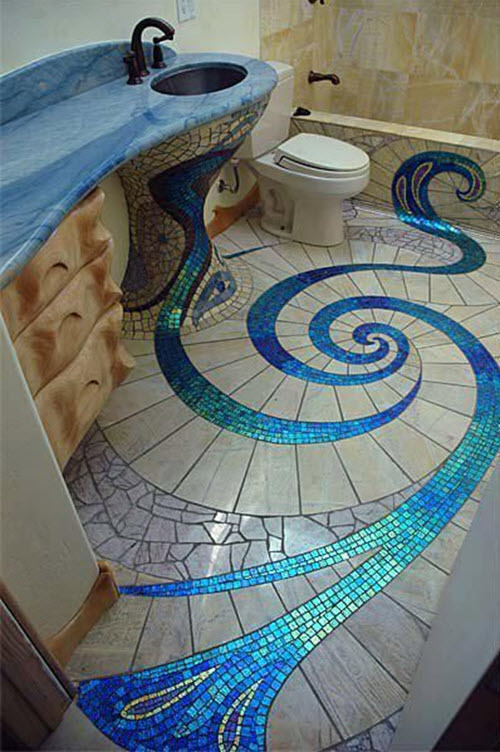 Some people prefer using large slate tiles of navy blue, others want to see mosaics or even subway tile on the floor of their bathroom. 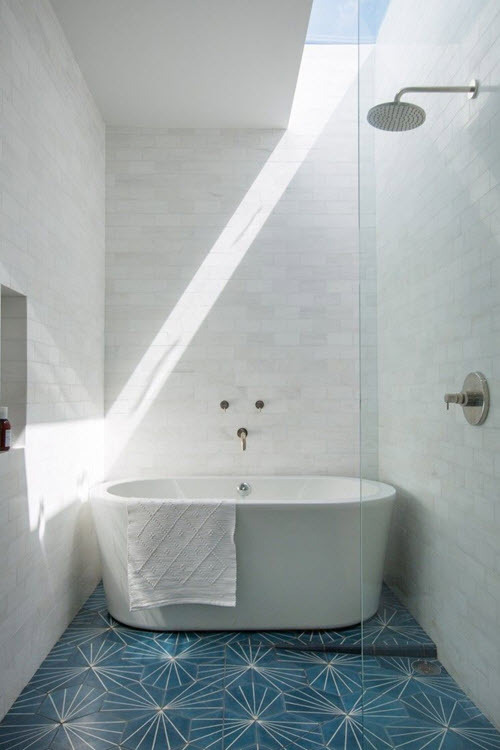 Sky is the limit here, so all you need is your imagination, money, time and patience. 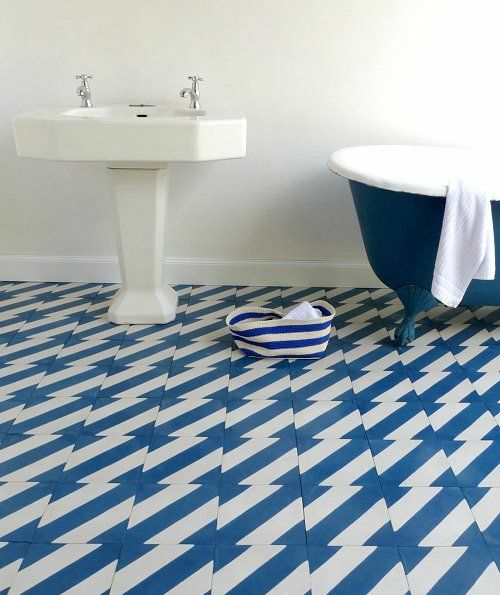 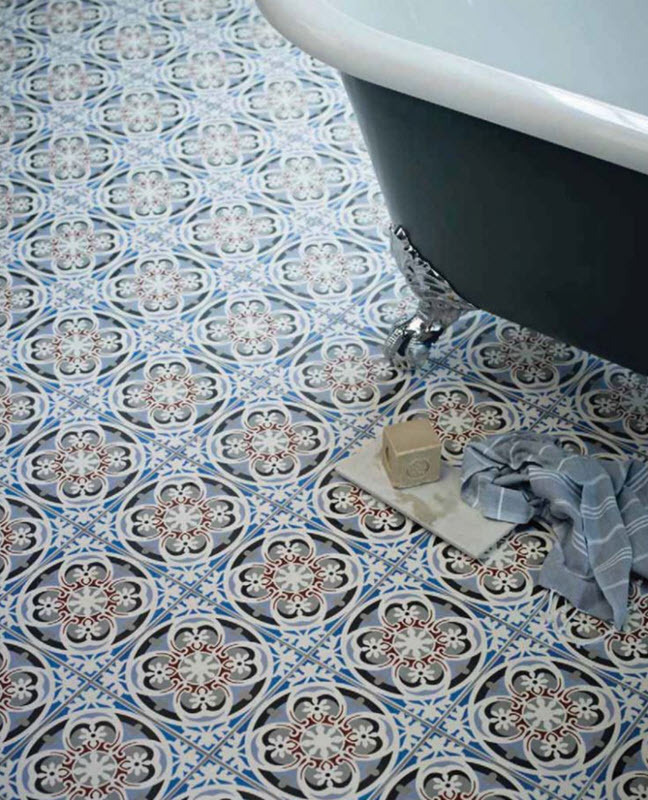 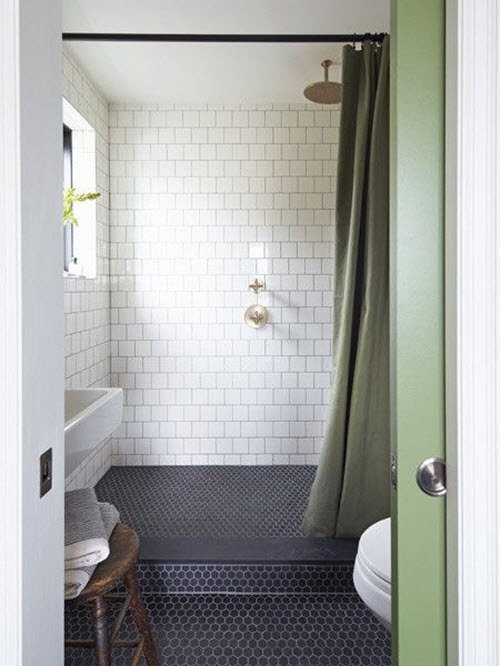 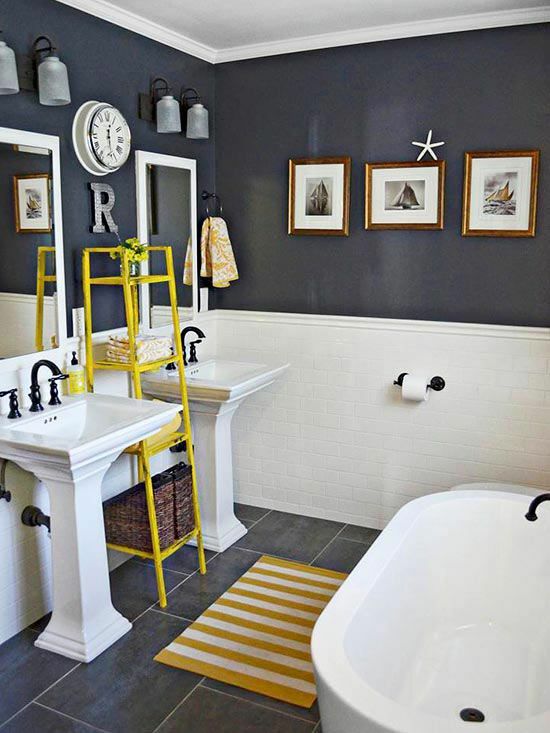 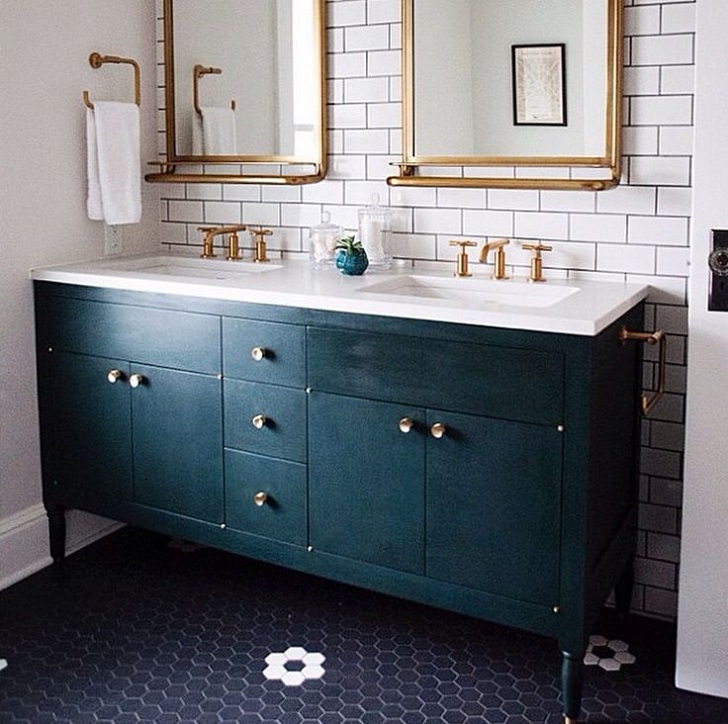 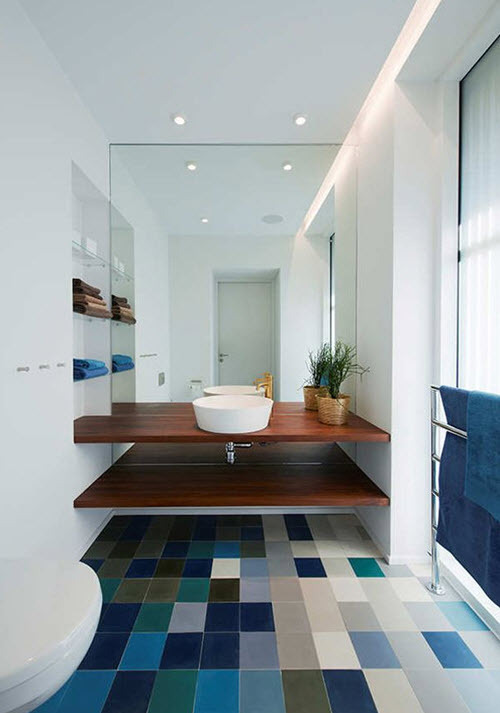 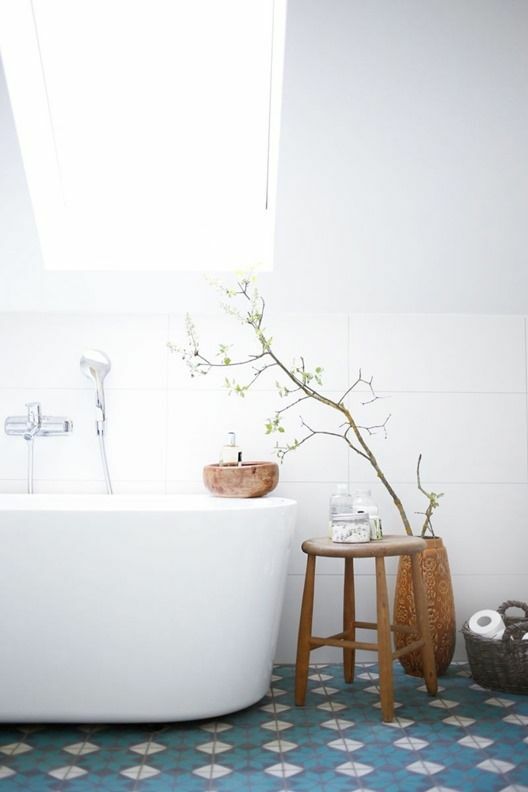 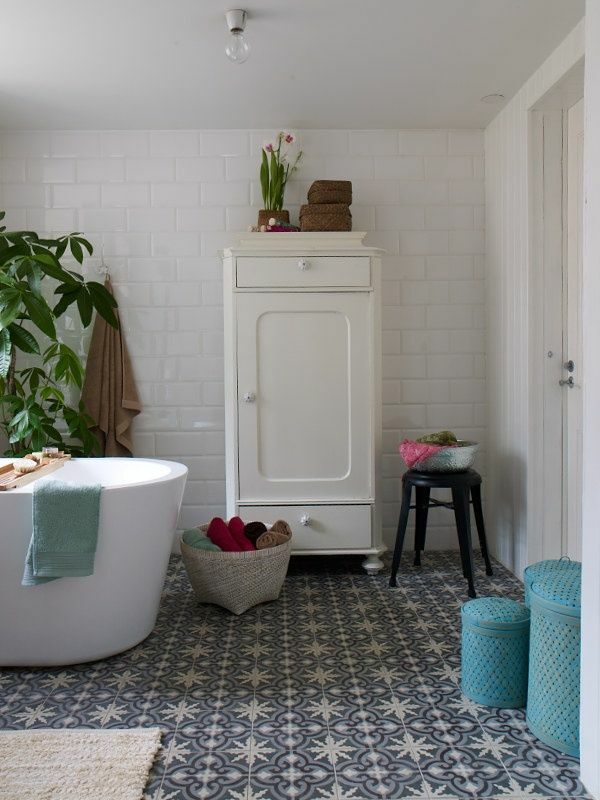 Start with collecting some of the ideas you’ll find below to keep in mind the best options for your bathroom floor.